The Coastal Resources Center at the University of Rhode Island’s Graduate School of Oceanography is leading an international initiative to address these challenges by bringing coastal science and fishery reform to the island-dwelling country of more than 100 million people. Partnering with the U.S. Embassy in the Philippines’ U.S. Agency for International Development (USAID) and a multi-sector consortium of local universities and non-government organizations, the center will implement a $25-million, five-year sustainable fisheries and biodiversity program called the USAID Fish Right Program. The grant is the largest in URI history. “We’re honored to be leading this consortium, and I’m excited to work in a country that has a great commitment to sustainable fisheries and improving the livelihoods of its residents,” says Elin Torell, director for international programs at the Coastal Resources Center and the lead researcher for Fish Right. Bruce Corliss, dean of URI’s Graduate School of Oceanography, says the award demonstrates USAID’s confidence in the Coastal Resource Center’s reputation for excellence in fisheries management worldwide. Sustainable supplies of wild-caught fish is the focus of “Fish Right.” These fish were landed by artisanal fishermen. They’re being dried in preparation for sale in local markets. 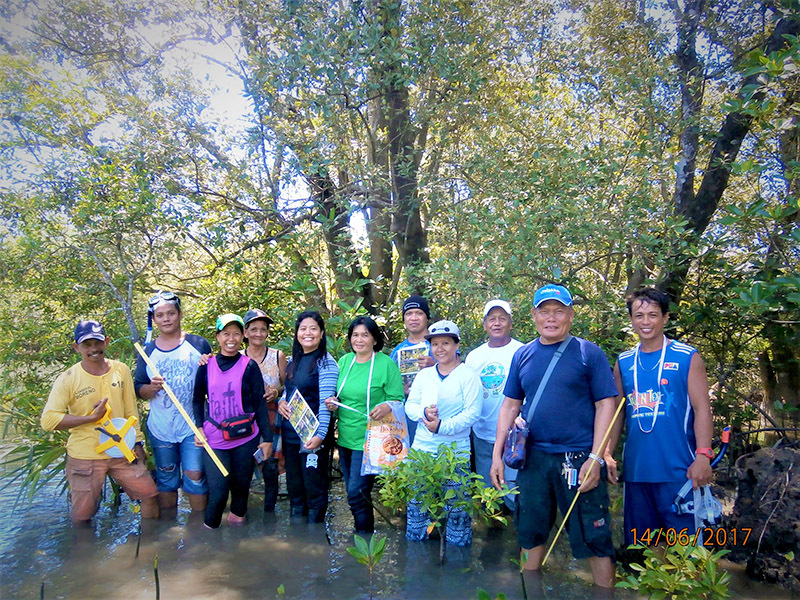 Fish Right seeks to increase fish stocks in key areas in the Philippines by improving fisheries management and building the resilience of fishing communities. 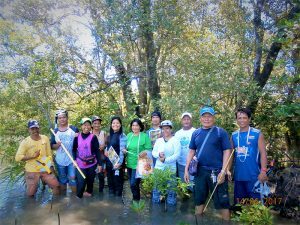 The project is expected to benefit up to 2 million Filipinos in coastal communities in Calamianes, Southern Negros and Visayan Seas. It will also ensure that women and other marginalized groups benefit and participate as equals in conserving and managing coastal and fisheries resources. Fish Right will work closely with the Bureau of Fisheries and Aquatic Resources of the Philippines Department of Agriculture. It will also work with national, regional and multinational partners to develop economic incentives for sustainable fisheries, coastal resource management and community building. 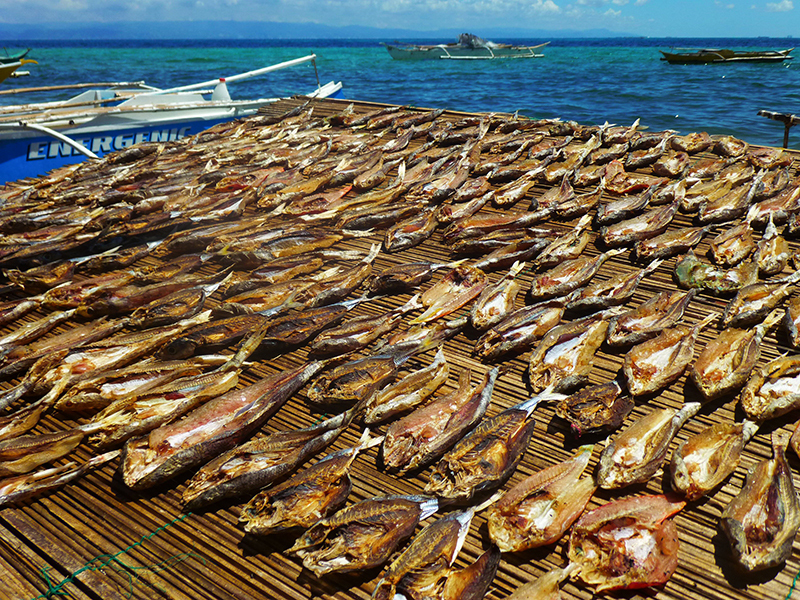 The program will be directed in the Philippines by Nygiel Armada, a national leader in fisheries reform in his country. 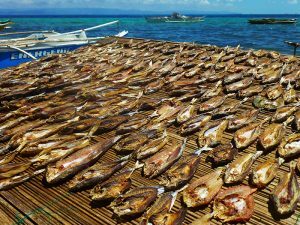 “I’m looking forward to energizing, focusing and guiding our consortium partners at this pivotal moment for the Philippines’ fisheries,” says Armada. Torell and Glenn Ricci, program manager for the Coastal Resources Center, will lead Fish Right from URI’s Narragansett Bay Campus. Co-investigators are Michael Rice and Emi Uchida, professors in URI’s College of the Environment and Life Sciences, and Brian Crawford, senior coastal manager at the Coastal Resources Center. The major partners on Fish Right are: Path Foundation Philippines, a local nonprofit; Resonance Social Impact Investment, a consulting group; NGOs for Fisheries Reform; Silliman University in the Philippines; the University of the Philippines at Manila and Visayas; and the Sustainable Fisheries Partnership, a United States-based nonprofit. “Fish Right” will work closely with local scientists, researchers, and volunteers. The Coastal Resources Center’s history with the archipelagic state stretches back to the 1980s, most recently in 2013. In 2014, the Coastal Resources Center received a $23,987,827 grant from the federal agency to lead a fisheries project in Ghana, which is flourishing today. That is the second largest grant in URI history. In addition to the Philippines and Ghana, the center is working on fisheries projects in Senegal, Malawi, Madagascar, Nicaragua, El Salvador, Guatemala and Honduras. These grants reflect URI’s demonstrated expertise in promoting sustainable fishing practices to coastal communities throughout the world.